Looking for new free instruments and effects? Step this way. 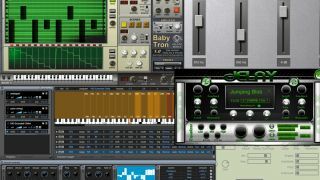 If you're looking for a quick hit of new free music software, check out the entries in this year's KVR Developer Challenge. You'll find another plug-in that just missed the entry deadline for this contest below, plus another four instruments and effects.